Update: There have been a couple reports of $1.00 peelies on boxes at ShopRite as well as tearpads on displays so be on the lookout for these. 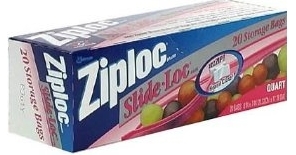 Reader Eric has left a comment to let us know that a catalina is printing at ShopRite when you buy 3 Ziploc bags. They are currently on sale and there are some great coupons and a rebate available to make this a super deal.